Many of you know that there's nothing worse than having to watch your little furkid suffer day after day with some kind of skin problem, no matter what it is. I've been there with my own dogs, one of which I nearly lost to a mystery skin disease that left her hairless with open sores. That was little Shenanigan the Yorkie, the first life saved by DERMagic. But that was then... Today, no one and no animal should have to suffer like this, and that's why we work so hard to get the word out about DERMagic Skin Rescue Lotion. It really works to end the problem, permanently, without steroids, antibiotics, or antihistamines. When we say it, that's one thing. But when pet parents who have been through this ordeal, with very expensive vet bills and steroids and no results over very long periods of time, when these folks send us their before and after photos, and we can share them with you, this is what tells the story. 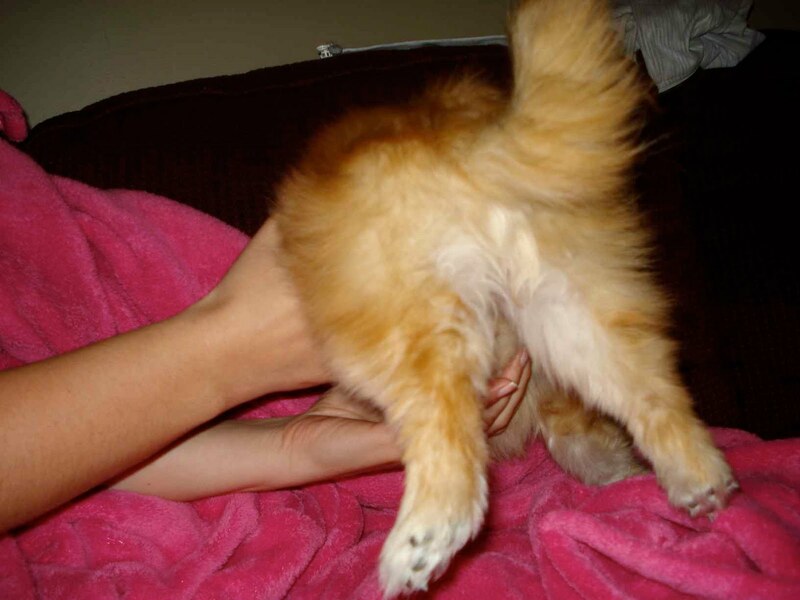 We have posted a slide show that shows Whitnie the Canadian Pomeranian (also known as "Puff Whitty"), who lives with Cherie D. in Saskatchewan. 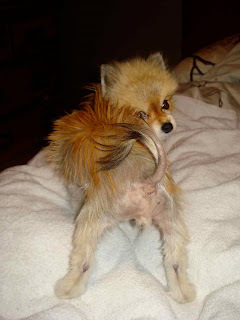 Whitnie was in pretty bad shape when they finally found DERMagic at Metro Pet Market in Regina, SK. Here's what Cherie wrote to the folks at Metro Pet: "Here are some before and after pictures of Whitnie's amazing transformation. Big thank you for helping us along throughout the past 6 months. Whitnie is gonna love you guys forever." Please watch the slide show and forgive us all for not being brilliant cinematographers... but the message is clear: DERMagic works. And we guarantee it.